There were a couple of good articles in the Houston Chronicle recently on workers’ comp issues. This is the first one I saw from Friday, August 23 by L.M. Sixel, whose work I really admire. Forget what John David said. This article demonstrates exactly what I have been talking about for a long time. The cards are so stacked against injured workers at the Division of Worker’s Compensation that employers no longer worry about the loss of an employee. State officials tout Texas’ strong business climate. But that strong business climate comes with a high cost. 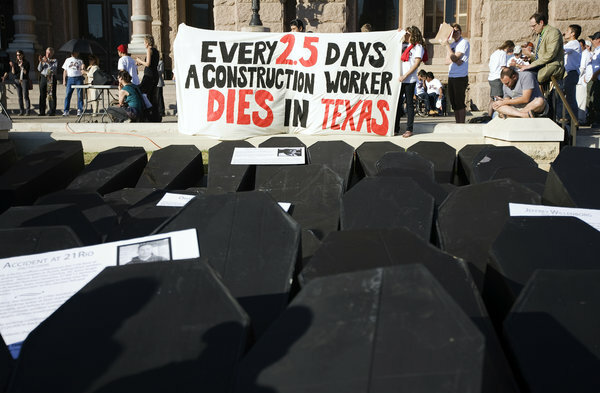 The reality is that in Texas employees are disposable much like a ladder or shovel would be. If you or a loved one has been injured by someone else’s fault, contact Trimble and Grantham. We can help.